This unique acrylic award is ideal for all company occasions! It has a unique shape with beautiful detailing and a blue reflective bottom to illuminate your logo and engraving. 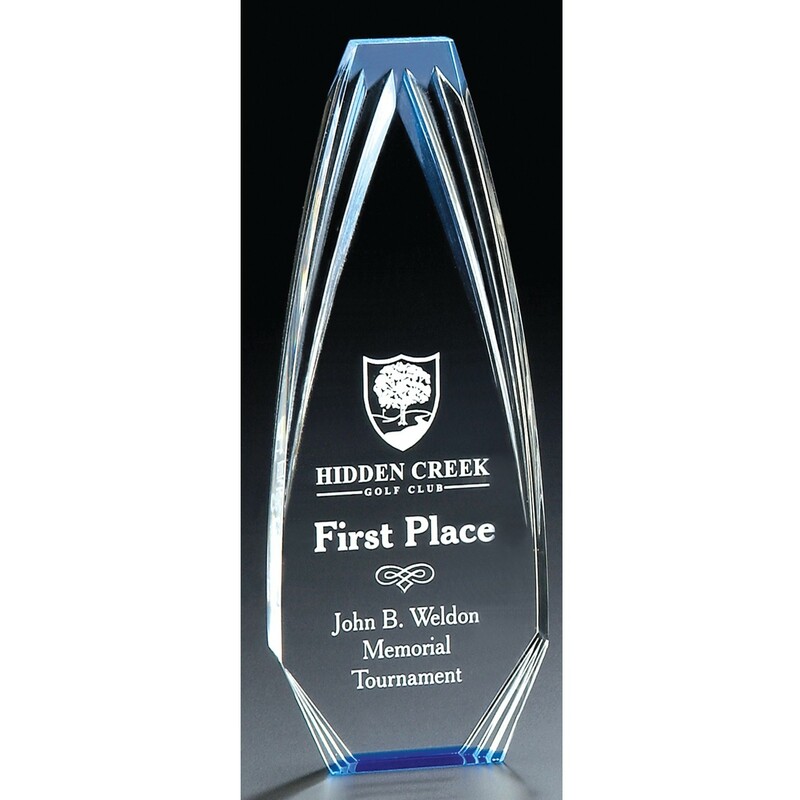 The Modern Blue Obelisk Acrylic Trophy comes in three sizes. All have a frosted engraving effect to make a truly spectacular award.